Eliminate Dog Skin Allergy Symptoms. All-Natural 100% Guaranteed. Better pet health. better pet life. Stop Your Pet’s Allergies, Itching, and Skin Problems! Get Fast Relief From Allergies, Itching, Dry Skin Problems, And Much More! What’s our secret? We remove the toxins, irritants, the triggers, and the allergens in your dog’s body that’s causing so much grief, itching and pain- while cleansing and repairing the liver damage, cellular damage, immune, organ and skin health. Stops your dog’s itching, biting, skin problems, and so much more with fast noticeable changes in behavior. It’s an easy to use powder, it starts working immediately. It targets irritants, triggers and allergy causative agents that trigger common dog allergies that build up in the body, and organs and skin of your dog and eliminates them from your dog’s body. It helps to remove the built-up toxins, chemicals, dangerous vaccine residues, that have build-up in the liver and other organs of your dog. It completely repairs, revitalizes. Refreshes skin, repairs, modulates immune functions, digestive and gastrointestinal functions. Repairs the dermal skin tissues damaged in common dog allergies, restores youthfulness, vitality and skin shine. Don’t Let Toxins Build Up In Your Pet. Today’s pet is exposed to the highest levels of toxins, and along dangerous chemicals, at levels never before seen in history. They’re unavoidable and slowly build up in the body. Detoxapet is the smart choice. Dogs are ingesting, inhaling and otherwise being exposed to toxic garden and lawn chemicals. These chemicals eventually find a place within your pets soft tissues – they slowly build. Consensus in the holistic vet community is concerned about the long-term effects and safety of heart-worm meds. In almost every pet treat tested, the treats from China won first place in toxicity, India second. Beware any kind of animal feed from China. Each individual scoop of Detoxapet™ Powder contains essential vitamins, minerals, colostrum, Produra® probiotics (10 billion CFUs per scoop), spirulina, prebiotics, antioxidants, special amino acids, enzymes, proteins, and healing cofactors. It also contains polypeptide’s, phytonutrients, powerful healing herbs and other important co-factors, disease fighting agents, b-vitamins, and is jam-packed with omega 3-6 fatty acids. It grows a new shiny coat, increases energy and playfulness, and gives your dog a whole new lease on life. Easy peasy! Just mix Detoxapet Powder in your dog’s food, it has a tasty bacon-cheddar flavor (vegan), and it’s 100% guaranteed to produce results – or your money back. Let’s get started on healing your dog. It gets to root of your pet’s allergy problems, and helps to eliminate them fast! The only issue is what’s causing your pet’s allergies. 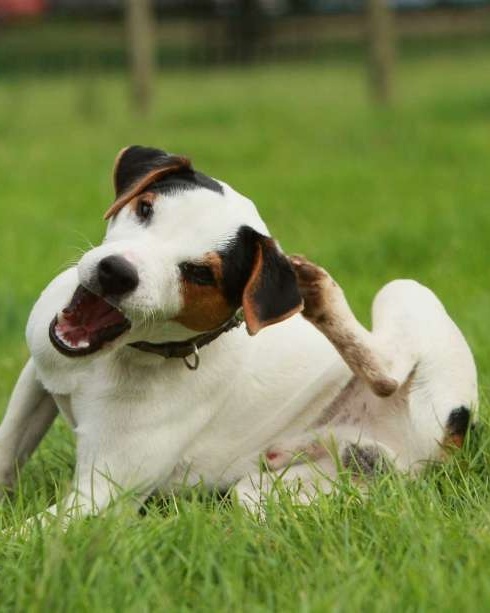 Did you know one main side effect for most anti-itching prescriptions for dog’s is pruritus, which means itching – the very thing the drug is designed to stop!Taking control is the first step to truly helping your dog today. his is causing severe liver damage, immune damage and SKIN PROBLEMS!! We’re slowly poisoning our dogs. Since the overuse of vaccines, boosters, flea and tick medicines (actually pesticides), steroids, antibiotics, prescriptions, and even lawn chemicals, our dogs allergies have reached epidemic proportions; our poor dogs are becoming allergic to everything now – and sadly, skin disease is now the number one cause of euthanasia in dogs today! The signs your dog has allergies are easy to post. Be smart, don’t panic, and take control – buy Detoxapet now, eliminate what’s causing your dogs common dog allergies and common dog skin problems. No need to wonder why you see your dog always scratching. Your dog requires a clean and detoxified body as his foundation for a disease free and strong body. Our pet’s bodies are not designed to handle nor eliminate today’s many toxins – so they build up in our pet’s bodies and organs. Discover the incredible benefits of Detoxapet for your beloved pet. I recommend this to every pet parent! I tried a bottle with my Frenchie because he has the typical allergies and he was just acting lethargic. It worked wonders and he was acting like a little spunky puppy. I”ve since purchased 3 bottles and have now started to give it to my mothers 10-year-old Boston Terrier who is also acting years younger. They both can’t wait for their gravy. I think they not only love the taste but they know it makes them feel better. I love and recommend this product to everyone! My 8 year-old dog became sluggish at about the age of 2. We had been taking him to holistic vet for over a year, and found out that he had toxic buildup of heavy metals, fungus, and viruses. After going through multiple rounds of detox, he was better, but not great. We stopped because the cost was prohibitive, and he regressed. We tried Detoxapet, and within 2 weeks he was acting like a puppy, with perfect poops as a bonus! He is better than he was when we were spending an arm and a leg with the vet. We will never be without Detoxapet again, and will be starting our other dog on it as well. Our pet’s bodies are not designed to handle nor eliminate today’s many toxins – so they build up in our pet’s bodies and organs. If your dog health symptoms are a concern, we need to reduce the amounts of toxins they’re exposed to while reducing their body burden. The problem is the slow chronic accumulation. Our pets are full of toxic chemicals and heavy metals, as you’ve learned, health dog food like Detoxapet is imperative today, so why do most vets ignore the connection?